I love styling clothes. I love dressing my little girls with pieces they can mix and match. Having singular pieces that can be worn with multiple outfits makes it so easy for me to let my kids dress themselves and I still feel good about what they're wearing. So, one of the biggest fashion trends lately is the simple t-shirt. It is casual, comfy, and everyone has one! What I love about this trend is how the creative people at Pretty Little Layers have taken it a step further by printing something on the front. Guinnyth is wearing the Glittered State shirt. Not only does it have a bit of glam with the glitter, but it looks so cute with her polka-dot leggings and hightops. I could go crazy snatching up all the adorable screen printed t-shirts Pretty Little Layers has in their shop! Brooke, owner of Pretty Little Layers, is a mother to two little girls and has been married for 7 years. She is a simple person who loves anything that allows her to be creative. That is how her shop was born- out of her love for simplicity and creativity. Pretty Little Layers has several signature prints. I love the Let Me Be Little print and the Fly Away With Me. The simplicity of the shirts makes it so easy to layer and mix patterns with the rest of the outfit! Today, I get to give away a T-shirt of YOUR choice! To enter, use the rafflecopter below. For those of you who can't wait... use the code PRETTYQUICK for a 15% discount on these Ts! Love the state tees. I agree, I am all about the comfy clothes but I somehow ended up with a two year old that loves nothing but "tutus" (dresses)! I would love one of the glitter state shirts. Would be super cute for my girls! These are adorable! We'd love to win! How cute are these t-shirts! Love Let me be little one. 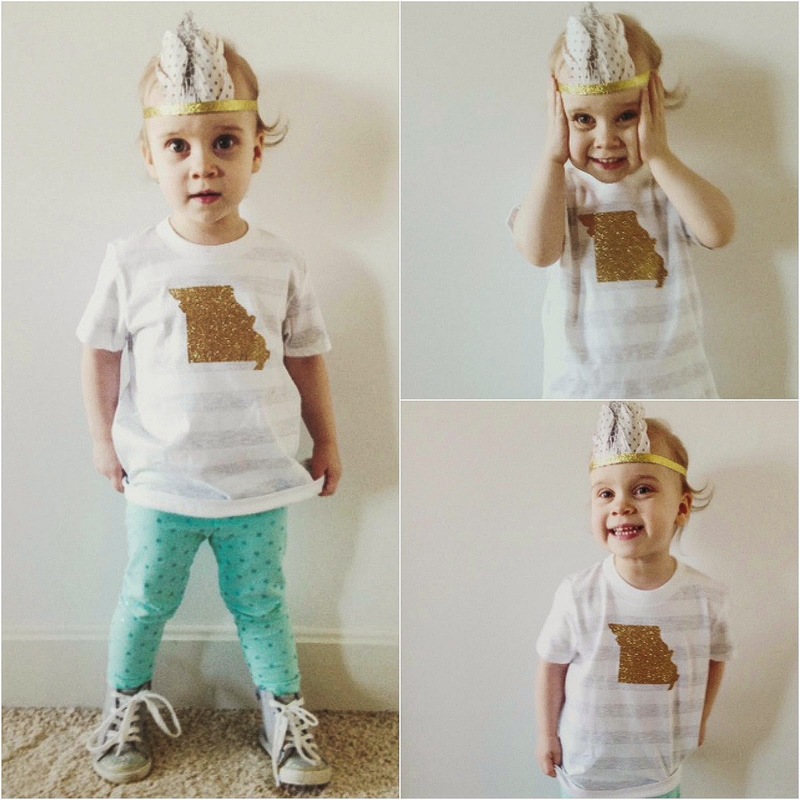 Love the sparkly state love shirt! Love the state love sparkly tee!! This is absolutely adorable! I saw some glitter state shirts at a local craft fair last summer and have been obsessed with them ever since! love love love the -let me be little- tee! 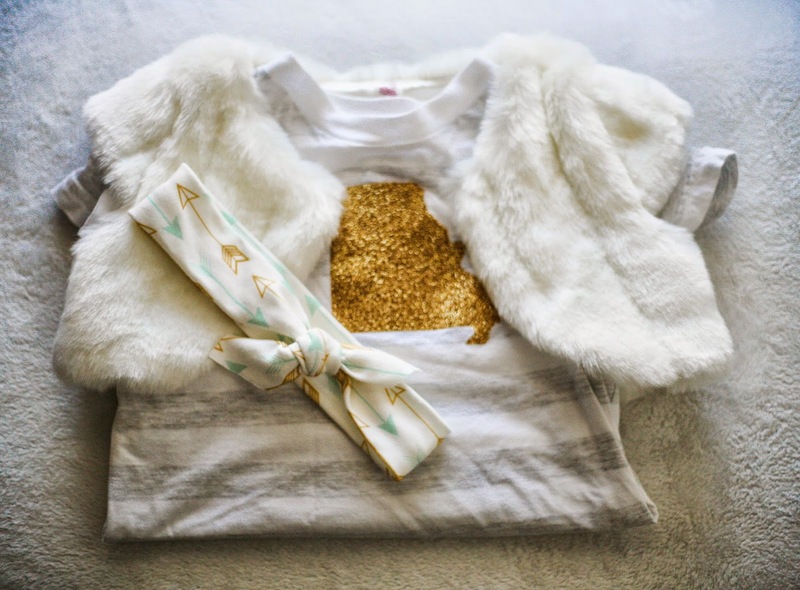 Oh my gosh, that little outfit with the faux fur...so so sweet! I like the Let Me Be Little shirt. Let Me Be Little or something similar! Thanks! I love the state ones and the let me be little. Both would be cute on my little one! I like the Christmas tee shop custom tee for kids. My daughter would love the glitter reindeer! 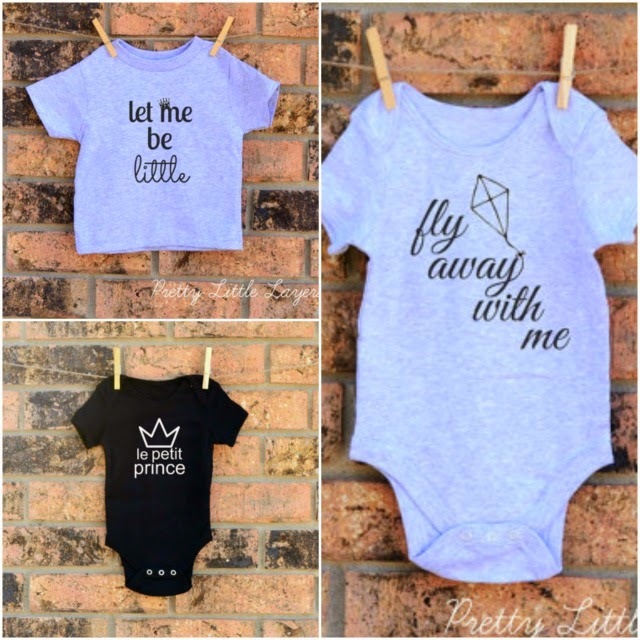 I would love the petite prince onzie! I'd love to win the girls fancy pearls printed tee.